on of cycling in the country with – Godrej Eon Tour De India 2014™. “He is a medical professional with a strong focus in supply chain management and procurement of materials. Dr.Shakil Khan has executed managing Civil work, EPC vendor selection and design management of 3 State of art radiology Centre with CT, MRI, Digital Radiology, USG, Mammography running for over 5 years." - Bill of quantity finalization, vendor selection for turnkey work and monitoring project completion for sites. - Setting up of laboratory equipments in 18 hospitals across Mumbai, Nasik and Pune, with management of Medical material supplies and technical maintenance/ upkeep of equipments with strategy tie up with Roche, Transasia, Abbott and Randox. - Inventory Management- Equipments purchase, Perishable goods, medical material management with emphasis on Cost Cutting. - Management of Histopathology and Immune histochemistry centre with remote sample delivery and collection from various cities. "Vaibhav Maloo is an Indian, currently Managing Director of ID Sports Pvt Ltd and Managing Director of Enso Group and Chairman of Enso Healthcare Limited, an Enso healthcare company in Indian healthcare sector. Enso Group of Companies is a multi-billion dollar group of MNCs with global operations across Asia, Africa, Europe and Australia. He has a Bachelor of Science in Business Administration from Carnegie Mellon University – Tepper School of Business( BSBA’09) where he spent a semester in CMU’s Doha campus; following which he received a Postgraduate Diploma in Global Business from University of Oxford(PGDGB’13). He is currently a candidate for MBA degree(E-MBA programme) from Pembroke College at the University of Cambridge(E-MBA). 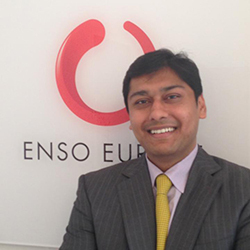 Prior to joining Enso, he interned at JM Morgan Stanley(2004) and; Euromax Capital(2008) in Mumbai for brief period(s). He also completed a certified executive education Hedge Funds course from London Business School in 2010." "Maloo has been Director of Asian Oilfield Services Ltd, a company listed on Indian bourses, as an independent director as well as he is director on the board of all Enso companies. He is vegetarian, practices Jainism and Hinduism, is a passionate Indian, loves cricket and his hobbies include reading, writing, movies & relaxing music." "Dr Khan has done is MD in Pathology and Master in Business administration with special focus towards Marketing from UK. He is also trained in Hospital and Healthcare management with an Industry experience of little under 15 years. He has successfully headed various Hospitals like Bhatia Hospital, Asian Heart Institute to name a few. He has been the pioneer of India’s first Heart helpline service – Call Life, Call 126126, which gives 24 hour Doctor service with Cardiologist on call service and Both Emergency as well as Air ambulance on call in the city of Mumbai. He has been the soul behind landmark groups, GO Clinic model in UAE. He has been the pioneer in steering Asian heart Institute through the initial years of establishment with a successful award of ‘Joint Commission International’ which is only present with top 4 hospitals in India. He has done the financial modeling and also the creation of the present Request for Proposal which has now turned out to be a role model of PPP Healthcare delivery system." 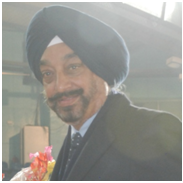 Dr. Akil Khan is the Chairman & Managing Director of ID Sports Pvt. Ltd – a sports event management company that owns the rights for India’s version of Tour de France of cycling - The Tour de India. His approach towards work has been futuristic, result oriented and process-driven with successful execution of various business models and experience. A trained hematologist and a Management Graduate, he comes with an illustrious medical background owing to his past work experience in some of the most notable healthcare centers of Mumbai and abroad; which also includes serving as the Ex-CEO of Asian Heart Institute, Mumbai. He has worked in a process driven environment and has excellent IR and HR skills. experience of little under 15 years. He has successfully headed various Hospitals like Bhatia Hospital, Asian Heart Institute to name a few. He has been the pioneer of India’s first Heart helpline service – “ Call Life, Call 126126” which gives 24 hour Doctor service with Cardiologist on call service and both Emergency as well as Air ambulance on call in the city of Mumbai. He has been the soul behind landmark groups, GO Clinic model in UAE. He has been the pioneer in steering Asian heart Institute through the initial years of establishment with a successful award of ‘Joint Commission International’ which is only present with top 4 hospitals in India. He has created the financial modeling, and also the present Request for Proposal which has now turned out to be a role model of PPP Healthcare delivery system. 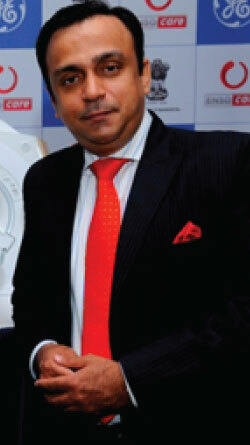 social Dr. Akil Khan is the Chairman & Managing Director of ID Sports Pvt. Ltd – a sports event management company that owns the rights for India’s version of Tour de France of cycling - The Tour de India. His approach towards work has been futuristic, result oriented and process-driven with successful execution of various business models and experience. A trained hematologist and a Management Graduate, he comes with an illustrious medical background owing to his past work experience in some of the most notable healthcare centers of Mumbai and abroad; which also includes serving as the Ex-CEO of Asian Heart Institute, Mumbai. He has worked in a process driven environment and has excellent IR and HR skills. agency Dr. Akil Khan is the Chairman & Managing Director of ID Sports Pvt. Ltd – a sports event management company that owns the rights for India’s version of Tour de France of cycling - The Tour de India. His approach towards work has been futuristic, result oriented and process-driven with successful execution of various business models and experience. A trained hematologist and a Management Graduate, he comes with an illustrious medical background owing to his past work experience in some of the most notable healthcare centers of Mumbai and abroad; which also includes serving as the Ex-CEO of Asian Heart Institute, Mumbai. He has worked in a process driven environment and has excellent IR and HR skills. 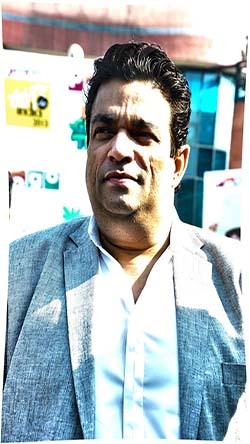 tsa Dr. Akil Khan is the Chairman & Managing Director of ID Sports Pvt. Ltd – a sports event management company that owns the rights for India’s version of Tour de France of cycling - The Tour de India. His approach towards work has been futuristic, result oriented and process-driven with successful execution of various business models and experience. A trained hematologist and a Management Graduate, he comes with an illustrious medical background owing to his past work experience in some of the most notable healthcare centers of Mumbai and abroad; which also includes serving as the Ex-CEO of Asian Heart Institute, Mumbai. He has worked in a process driven environment and has excellent IR and HR skills. 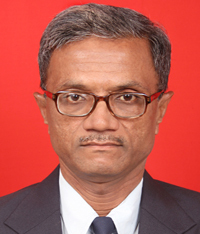 Currently the President of Cycling Federation of India and Member of the Management Committee of the Asian Cycling Confederation (ACC) is Finance Minister, Govt. of Punjab. Under his leadership the CFI has gone a long way in improving the standard of cycling in the Country and promoting and making it one of the most popular sport in the Country. He has the vision of making the presence of the Indian Cyclists felt at the Olympic level in years to come and is leading from front to achieve the same. CFI, once again, is proud of extending its support to the functioning of the Godrej Eon - Tour de India, 2014™ ,and is glad to have such an event organized where we not only have cycling teams of national level but also participants from several international teams, and star riders from across the world. A former National level Gymnast and into sports administrations for the last more than three decades. He has been associated with cycling for quite some time and is responsible for the current upsurge in the cycling events with the vision of promoting cycling in the Country, he pioneered the thought of cyclothons in the various parts of the Country in last few years. After taking over as the Secretary General of CFI and with concerted efforts in promotion of cycling India has created history in terms of medals at various Asian level championships. 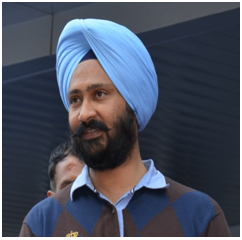 He is instrumental in organization of various National and International events in India and in that chain was the organizing Secretary of the Asian biggest cycling extravaganza i.e. Asian Cycling Championships at New Delhi in March 2013, which was termed as the most well organized Asian Cycling event ever. Also his vision of Indian National flag being heisted at the Olympics has got a boost with Indian cyclists competing for the top sport in Asia with leading World beaters at the recently held Track Asia Cup at Thailand bagging 02 Gold’s, 03 Silver’s & 01 Bronze, which is the highest tally for India ever. He wishes to be instrumental in holding a World Championships in India in the very near future and place India as the World Cycling Map and with the honor of holding the event at the state of Art Indoor velodrome. The ex-national cyclist has won 2 bronze medals in national road cycling championship. Also won gold medal in state road cycling championship. He is working as hon. secretary of Maharashtra Cycling Association for the last 15 years. He has also worked as a sports reporter/sub editor for few years. He has organized national road/track/MTB cycle championships in the year 1997,2003, 2005 and stage cycle race in the year 2005 and 2006 successfully. It gives me immense pleasure in welcoming all of you to the Godrej Eon Tour De India 2014™, a historic multi city cycling event in India.